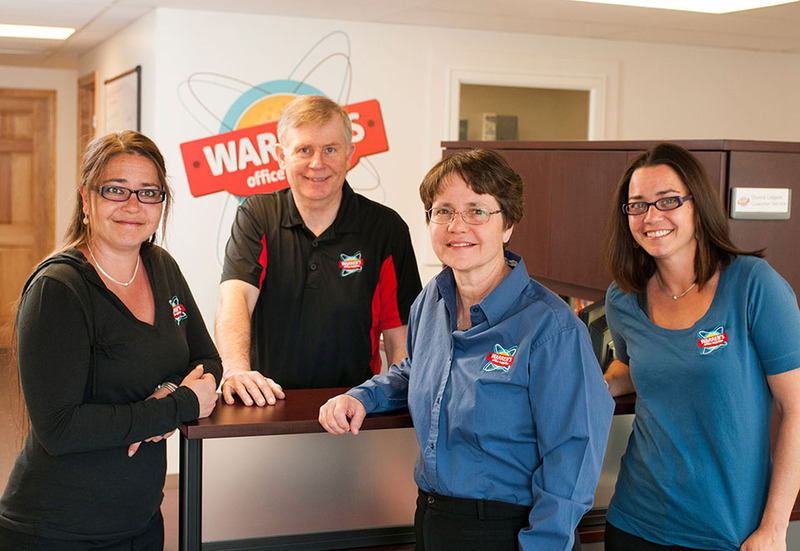 Warren’s Office Supplies is owned and operated by the Roberts family. The business was founded by Warren in 1981. He was joined by daughter Melissa in 1998 and daughter Jen in 2008. Susan, wife and mother saw the fun the family was having working together and joined in 2013. Today, Melissa is vice president and responsible for operations, customer service and accounting. Jen is Marketing Director and handles the award winning Pencil Man News e mail newsletter. Susan works in customer service, purchasing and is in charge of HR. Warren remains active overseeing business growth and development, long term planning and facilities management. The Roberts family is very involved in the operation of the business and you are very likely to speak with one of them on the phone when you call in or see them at your place of business as they spend time with Warren’s account managers and delivery personnel.